Lootbox RPG was made by the same dev who made Silversword. 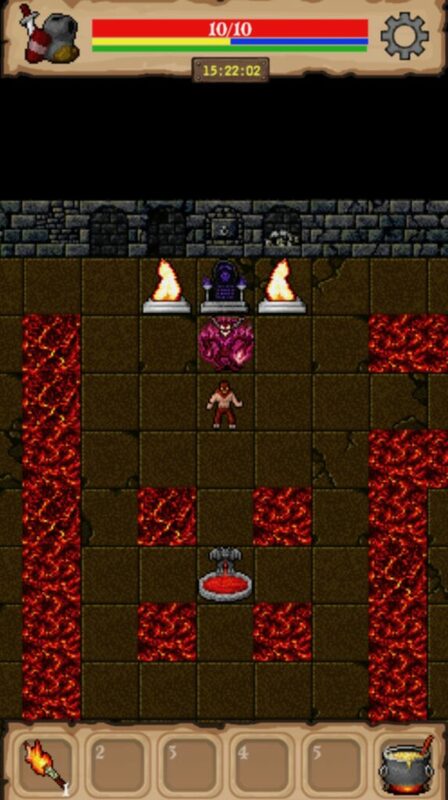 It’s a 100% IAP-free dungeon crawler with no perma-death and dozens of different items. You kill enemies and open chests for loot, getting harder as you descend, with stairs back to the surface every fifth level. There’s the main Torture Chamber, plus the Rat King’s area, an Elven Forest and some Goblin Tunnels. Eventually you get into the main castle, and the dev has been adding more content. Lootbox is completely offline and it frequently autosaves, plus you can save whenever and wherever you like, making it a lot less punishing than the average roguelike – it’s set in Hell, so you can’t “die”! It’s a little bit grindy as you try to level up, but it’s fun grinding. Once you’ve killed the first boss there’s also a magic system with runes that you have to find.